If you have read our credit report primer called “Credit Reports: Your Financial DNA,” then you understand how your credit score is calculated and how important it is during the mortgage adjudication process. What you may not yet know is that there are ways to improve your credit score that don’t involve guys in trench coats or hacking into databases. 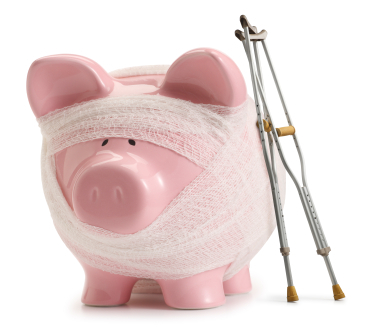 Put a different way, you may be inadvertently hurting your score with the decisions you make regarding credit. Here are eight tips for putting your best credit foot forward. 2. Pay your bills on time. Setting up automatic payments using your chequing account or credit card is a good way to make sure you don’t accidentally miss a due date. 3. Keep your credit card balance well below your account limit. Most people don’t realize that spending up to their limit every month will hurt their score, even if they pay in full each month. There are two ways to address this: spend less or get your limit raised. 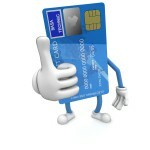 In fact, raising your limit, if you qualify, is one of the easiest ways to help your credit score. 4. Use it. Lenders want to see an active history on your file so try to use your credit a little each month (not a problem for most of us!) and your score will be better for it. 5. If you can’t pay the full amount, especially on credit cards, make very sure you pay at least the minimum. Also, if you’re falling behind, try calling the creditor and explaining your situation. You might be able to work out a deal whereby you can delay some of the payment without their filing a late payment on your credit report. The worst thing you can do is miss your payment date and say nothing. 6. Don’t apply for credit all over town, especially if you have limited and/or newer credit. While the hit to your credit score will vary depending on your overall profile, a flurry of credit application activity will temporarily impact your score (this impact is reduced as time passes, provided that you don’t keep applying). 7. Beware of having too many credit lines. If you have a series of small loans it can hurt your score because a) it looks like your cobbling together any credit you can get your hands on and b) lenders will worry that you could end up in a position where you have borrowed more than you can pay back. The best way to avoid this is to consolidate your debt into one large loan (refinancing an existing mortgage is one way to do this). 8. If you are disputing a charge from a creditor (cell phone companies and gyms come to mind), make sure that you submit a brief statement to Equifax and/or Transunion explaining your side of the story. This submission will be added to your file. Doing this won’t get the charge removed but if your credit is otherwise good, it makes your explanation that the blemish is due to a dispute, and not based on an inability to pay, more believable to lenders. Follow these tips and your credit score will thank you (if it could talk, that is).